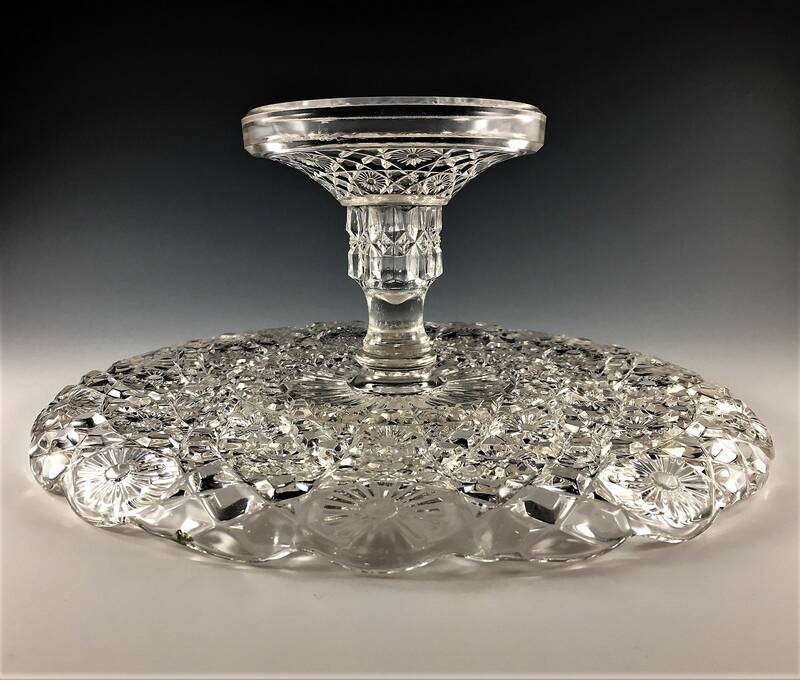 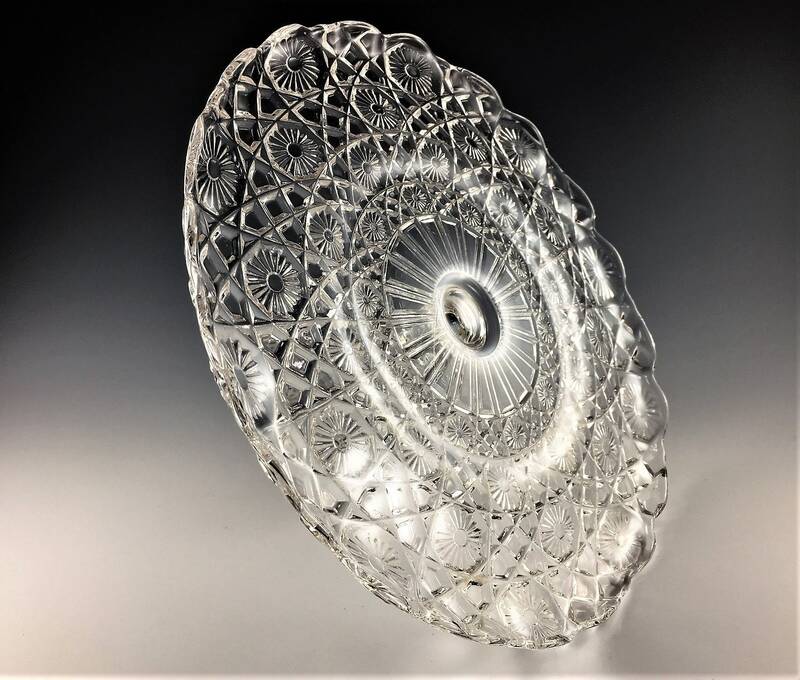 Featured is a wonderful Early American Pattern Glass (EAPG) cake stand from Jones, Cavitt and Company. 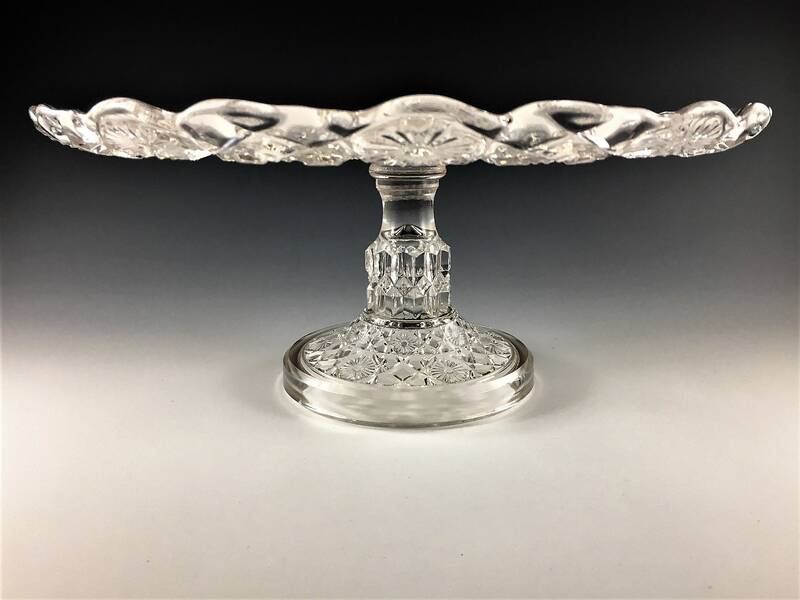 This piece is from their No. 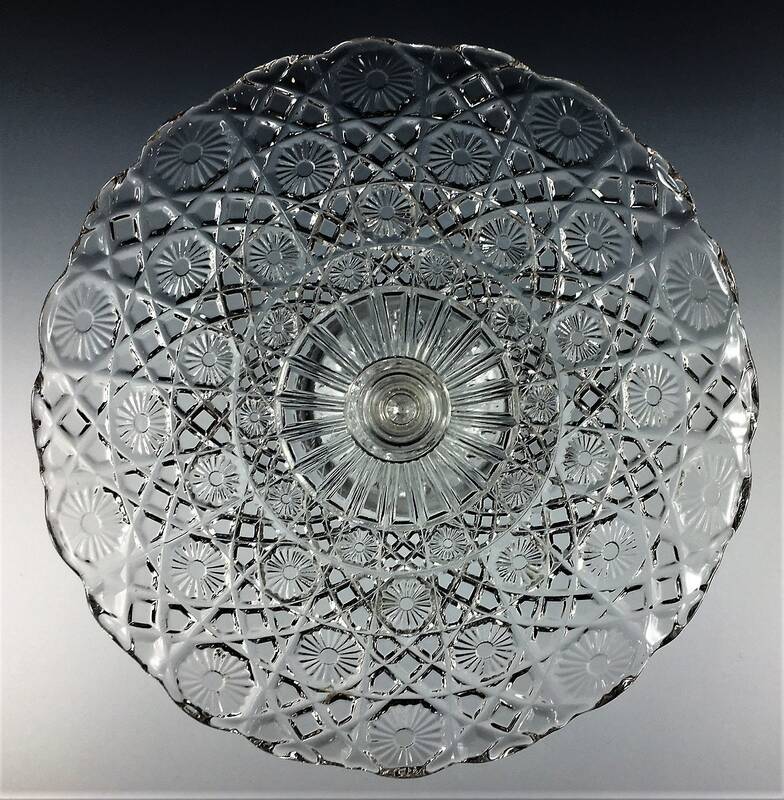 130 Jasper (OMN) pattern which was produced in 1888 and also known to collectors as Squared Daisy and Diamond. 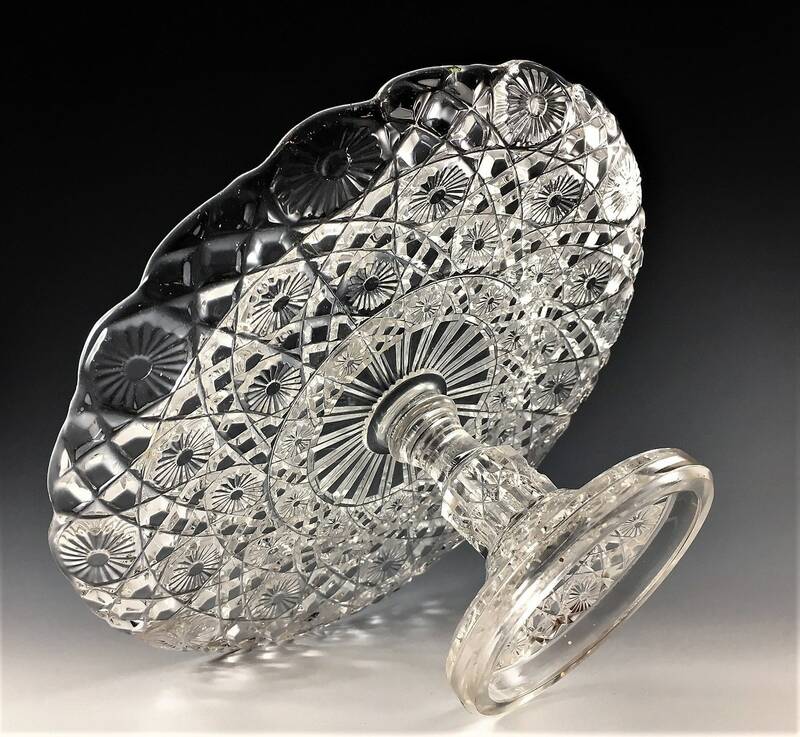 It measures about 4 3/8 inches tall and 10 1/4 inches in diameter. 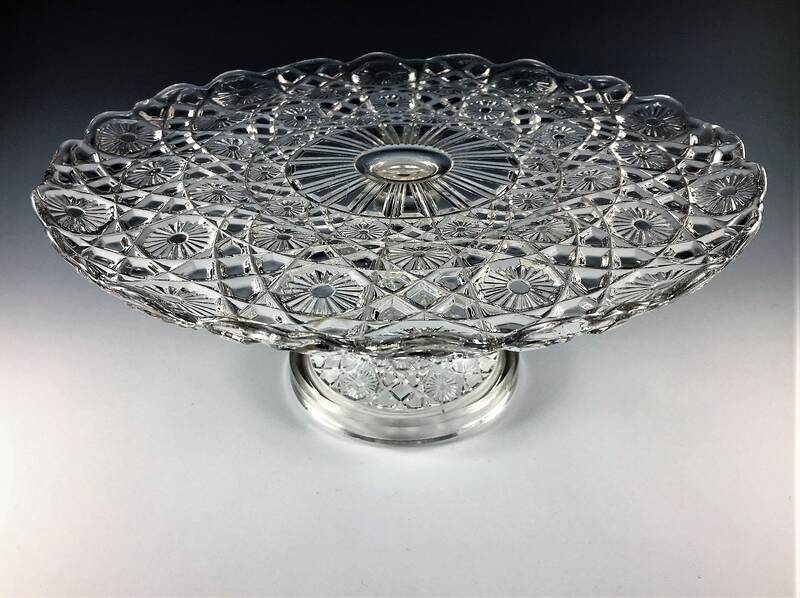 It is in good vintage condition with no chips or cracks.